Romance writers love to tell period tales of pirates, sailors, sea captains, and the women whose hearts are broken by them. Might have had something to do with why seafaring men of yesteryear considered the presence of women on ships to be bad luck. Much has changed since then. An entire industry evolved around getting folks on cruise ships to find or rekindle love’s illusive spark. A recent weeklong cruise gave me an opportunity to observe romantic rituals of people sequestered on today’s modern SS Gluttonous Seas. Enthralled by the dichotomy of behaviors, I discovered love could still be a challenge for some, despite the best efforts of ship crew to conspire, coddle, and coerce folks to love the one you’re with. The following is a summary of my questionably unscientific study. Unmarried singles who want to engage in hedonistic partying and not have to worry about needing a designated driver. This group is fond of excursions and seedy shore bars with names like Senor Frogs. In honor of the 70’s Love Boat, single ship’s officers are particular keen on this group. Unmarried couples, who wish to explore their relationships on a deeper level, while checking out hedonistic parties and other couples. Behavior patterns are similar to unmarried singles, however, it is not unusual for a regression of couples back to singles. Newlyweds seeking a safe haven for unlimited consummation of their new life contract. Cabin doors of this group will be guarded by room service trays and dog-eared “Do Not Disturb” signs. Young married couples who hope the sea air will rejuvenate fading passion, enhance fertility, or just compare their life partner against others on-board to gauge if they got a good deal. Middle-aged couples, no kids, where the fire of passion is banked so deep beneath hearth ash, sea breezes might not be warm enough to rekindle it. This group can often be seen arguing at the bar. Middle-aged couples with kids, who come for the free babysitting services, unlimited booze, and a thoughtful retreat to question why the hell they had kids in the first place (see Kids on boats). This category can also be seen traveling in groups, as misery loves company and brings readymade playmates for the kids. Given the quantity of booze peddled by service staff, contraception is advised to avoid moments of insanity which fruit nine months later. Older Married couples, by far the largest cruise population and growing. Most go for the food (early seating) and a chance to meet the captain. This group likes to dress for dinner and comes prepared with photo albums of their grandchildren and pet dog, not necessarily in that order. Romance is often limited to watching R rated movies and falling asleep. Older Unmarried Singles, who hope to meet another life partner, preferably with a trust fund, while browsing the buffet. Single woman of this category can be seen at the pool with bronzed leather for skin, skimpy swimwear, fashionable sunglasses and are known to leave a perfume cloud in their wake that sets off the fire alarm. Older single men brazenly wear inappropriate Speedos for their weight class, and can be seen trolling the many bars wearing gold chains, trying to impress prospects with stories of places they’ve never been. Kids on boats deserve special categorization as romance blockers. They represent life’s ultimate end product of romance and the one most contributing factor to its demise. Kids typically bunk with parents (to save money). Chances of parental romantic incursions are limited to heavy petting in the last row of ship’s show time theater, where kids are not allowed, though osmotic conception has been known to occur (see middle-aged couples with kids). Cruise ships strive to accommodate the diverse categories listed. Easiest to oblige are newlyweds; they never leave the room. Hardest to accommodate are older married couples, because the rooms are never up to their exacting standards, like their choice of life partner. Those who take their romantic connections seriously will remain on board while other passengers embark on land excursions. The deck areas are less congested, kids are off the boat, and it’s one of the few times to observe newlyweds, who’ve emerged from their love nest for a bit air (and a chance for room stewards to change the towels). Worst days for romance, unfortunately, are at sea when the kernels of love are supposed to blossom, the reason many came in the first place. My findings for this anomaly are as follows. Over 3,000 passengers try to find a pool chair in a space designed for fifty people, most of which lay empty all day with a “reservation towel” and stolen copy of an old James Patterson novel. The only chair left is between a family of eight and an old, fat guy whose snoring rivals the ships engine in full reverse. Kids clog the pool, the decks, the toilets, and artfully dodge between lounge chairs, littering the decks with French fries and spilt drinks. The ships PA system blares incessant with uninspiring activities at decibels equivalent to a 747 takeoff. Trips to the cabin with phone-booth width hallways become a human Pac-man challenge, dodging room service trolleys, kids, and passengers congregating outside your cabin in groups of ten to plan their day. Odds are high of getting doused with a “Bird of Paradise” drink from sunbathing neighbor juggling a bratwurst plate. Sunglasses require frequent cleaning from aerosol’d suntan oil misting the air. Endless waits at buffet lines where each individual orders for six people, while kids dart in and out of the line without a clue of proper queuing protocol. In my view, the only advantage to crowded sea days is an ability to check out a cornucopia of men and women in various degrees of undress without having to move. Dark sunglasses are required to minimize suspicion of gawking. 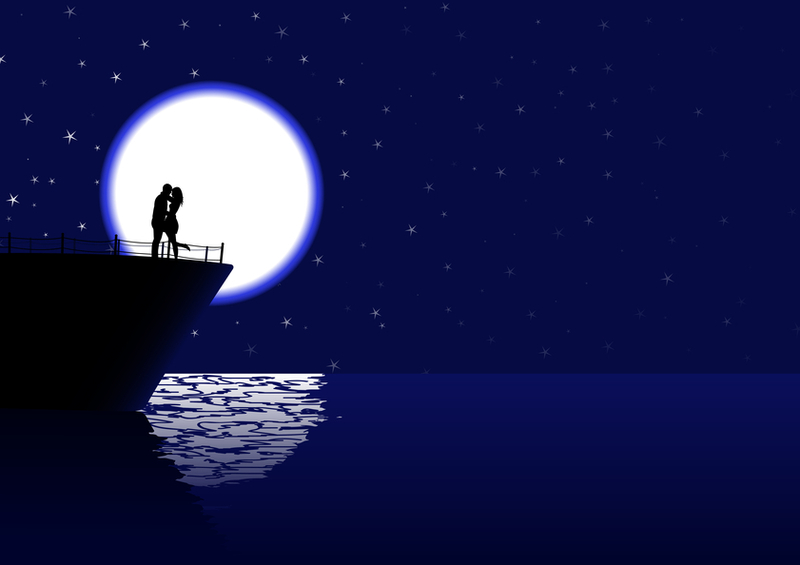 Finding romance on the high seas can be a tricky wicket, but not impossible. Using the cabin at sea like newlyweds has the highest chance of success. Today’s newer ship designs offer balconies and better privacy, provided kids aren’t tossing things down from the balcony above. Skipping on-shore excursions ensure ample chairs in preferred locations with minimal wait times for adult beverages. For those who feel the need to get off the boat, I suggest avoiding the group tours and find obscure beach bars not listed on the ships approved places to go. For those with kids … good luck on that one. Just for the record, my dear wife, who accompanied me on this trip, disavows any connection whatsoever to the results of my research expressed here, though has suggested an additional category, Married soon-to-be-single. If you have additional suggestions or feel I’ve missed a major category, please feel free to comment. I’ll be staying for awhile at the nearby Holiday Inn. Yah. You missed one. The ‘Sea-sick With Desperate Wish to Die and Far Too Many Advisors’ category. Right there. That’s me. Ah yes, trapped in a flying cigar tube with wiggly kids who don’t want to wear their seat belts. Try it on overseas, 20+ hour flights non-stop (we lived in Asia for ten years). Not for the weak of heart. Thanks Dana. You have totally reinforced why I don’t want to go on a cruise. I think I am going to print this out if I am ever tempted… Awesome post! Thanks, Mary. Unfortunately, my DW loves it, and my destiny is to go along, or risk losing her to Older Unmarried Single with gold bling dangling on his hairy chest. This post is fantabulous! This should be offered as a free handout to anyone considering a cruise or who has a daughter’s insisting on a destination wedding to Cozamel… Nuff said. Been there, done that. I’m amazed by the research here! A credit to your diligence, DT! I do lie awake sometimes, wondering if I am going to receive a “cease and desist note” from one or more of the major cruise lines. I’ve heard of the “destination” wedding venues on boats. Can’t be a good thing. Thanks, Katherine. Keep swilling the grog, me hearty.